Warm afternoons and picturesque outdoor backdrops are the norm for weddings these days. And if you’re attending one soon, finding the perfect outfit to wear is probably on the top of your mind. If a dress is what you’re after, we have some great tips for what to wear to wedding from Cynthia Smith of Cynthia Cook Brides. 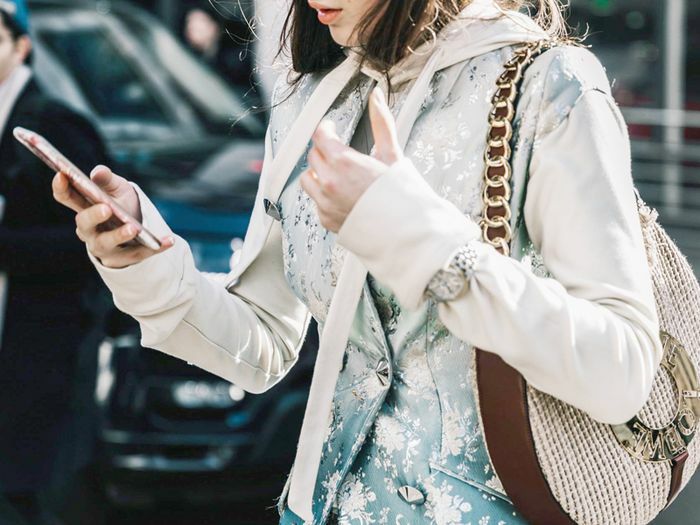 With a business as a wedding stylist, the former Vogue editor brings her editorial point of view to each wedding she styles. We tapped Smith for her insight on the best dresses for guests to wear, as she’s an expert in all things related to wedding fashion. She told us about the dress style that will look good on everyone, as well as the key to looking amazing at the next summer wedding you’ll be attending. “My favorite looks for summer weddings are colorful, lighthearted, and festive dresses. A pop of cherry red or a charming print will achieve this aesthetic,” says Smith. Her advice comes down to one important tip: Don’t be afraid to embrace color or a statement-making print. We’re not just talking about soft pastels, but vibrant dresses and styles with bold floral motifs. Stick to minimal accessories to tone down the look, or lean into it with pom-pom earrings or embellished shoes. 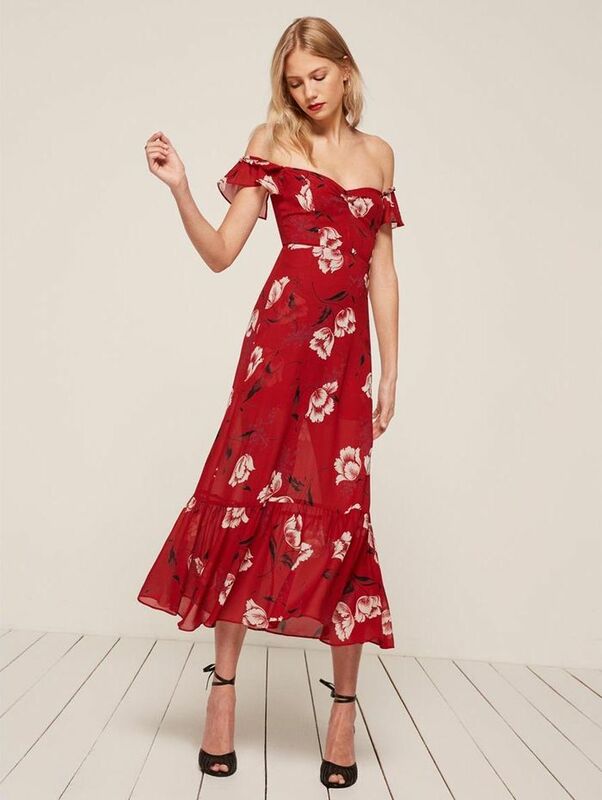 Whether you’re headed to a wedding along the umbrella-dotted shores of Positano or nuptials tucked away on a vineyard in Sonoma, we’ve found the perfect dresses for you to wear. Keep reading to shop 22 dresses to wear to a wedding—all handpicked by Cynthia Smith. This floral print also comes in black and pink. Wear this ruffled dress to a tropical wedding. When it comes to color, always go bold. Don’t be afraid to try a vibrant floral print. Pair embellished sandals with this off-the-shoulder style for a beach wedding. Try this affordable dress with a cutout back and uneven hem. This chic option can also be worn to baby showers. We love the pops of red on this dress. Grab a black clutch to pair with this style. This wrap dress is modern and sophisticated. Pair kitten heels with this floral dress. Show off the ruffle strap detail by wearing your hair pulled back. Wear this gown to a black-tie wedding. A silk midi dress is sophisticated and chic. Dress this silhouette up by pairing it with bold-colored heels. This wrap dress can be dressed up for a nighttime wedding with strappy heels or dressed down for a daytime wedding with sandals. Complete the look with silver shoes. Try wearing statement earrings with this dress. Show off the delicate embellished details by pairing this dress with neutral shoes. Accessorize this dress with layered bracelets. Next, read about the easy way to replicate Ashley Olsen’s style. This post was originally published at an earlier date and has since been updated by Kristen Nichols.